"With lighting, gorgeous chandeliers and soft draping around the room, the Entertainment Center was given the feel of a tent while still allowing guests to enjoy a climate controlled space." The Keeneland Hospitality team worked closely with Brooke to make sure her wedding was filled with all the things she loved about Lexington. The hors d'oeuvres included Shrimp and Grits and Miniature Hot Browns. The main course included a dual entrée of Beef Tenderloin and Roasted Lemon Chicken, and the bride incorporated her favorite dressing, Champagne Vinaigrette from local Merrick Inn, with the salad. The evening was topped off with a late night doughnut snack from local bakery Magee's. 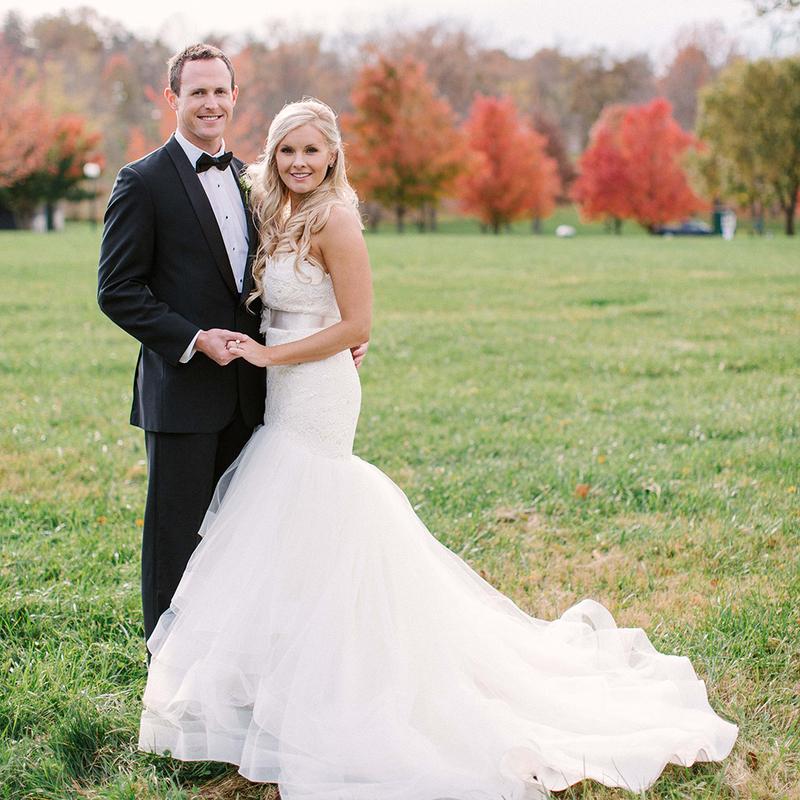 Brooke hired Lauren Chitwood of Lauren Chitwood Events as their planner and event designer. Brooke wanted the look of a tent wedding during winter. With lighting, gorgeous chandeliers and soft draping around the room, the Entertainment Center was given the feel of a tent while still allowing guests to enjoy a climate controlled space. The Keeneland Hospitality team worked closely with Lauren to ensure the vision came to life, including managing such logistics as power mapping for the stunning lighting. Some of the unique, beautiful details included cozy blankets for guests to wrap up during the ceremony, balloon photo back-drop and fur shawls for the bridesmaids.